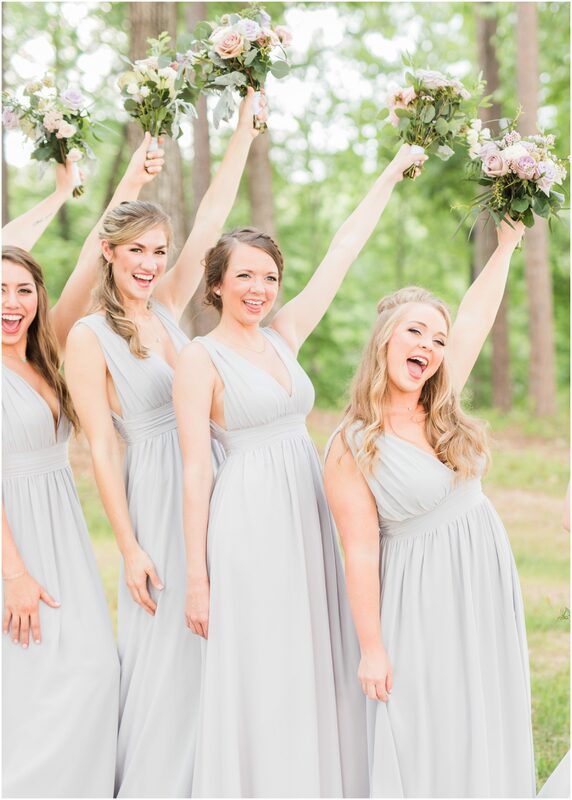 First of all, did we skip summer and go straight to spring?! 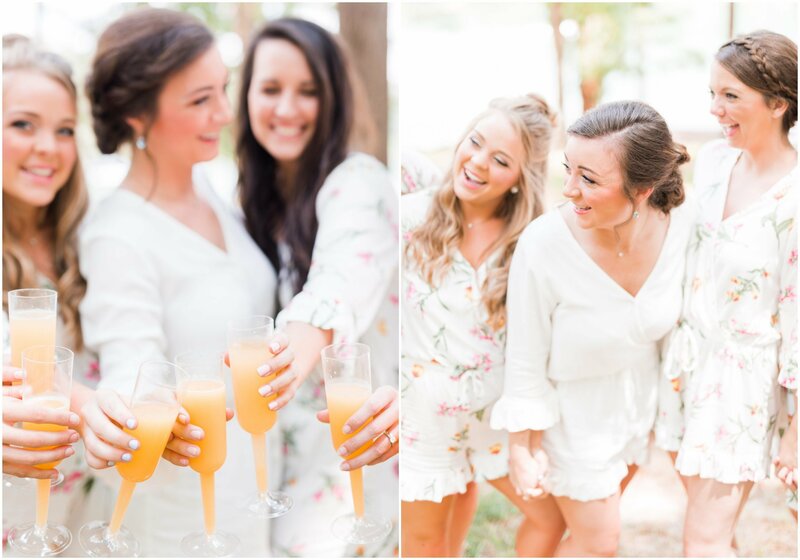 If so, we are totally okay with that because it seems the hotter it gets, the better our wedding season gets! 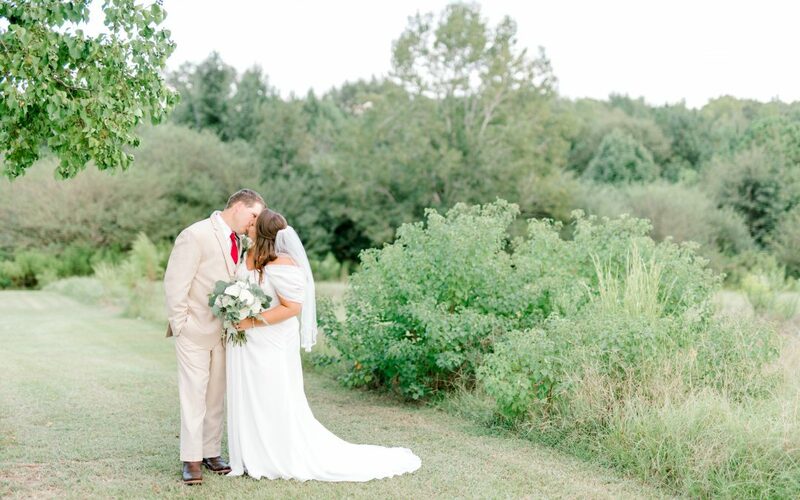 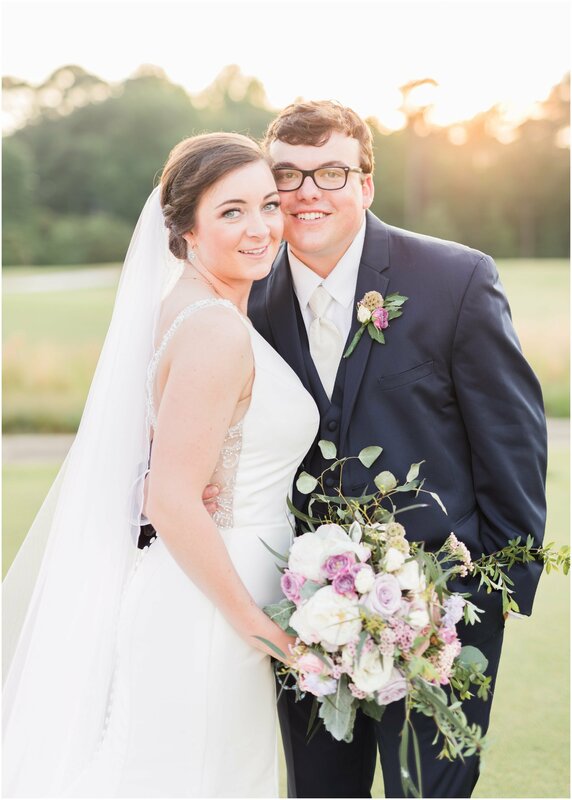 We are so happy to blog about our sweet friends Victoria and Ethan today. 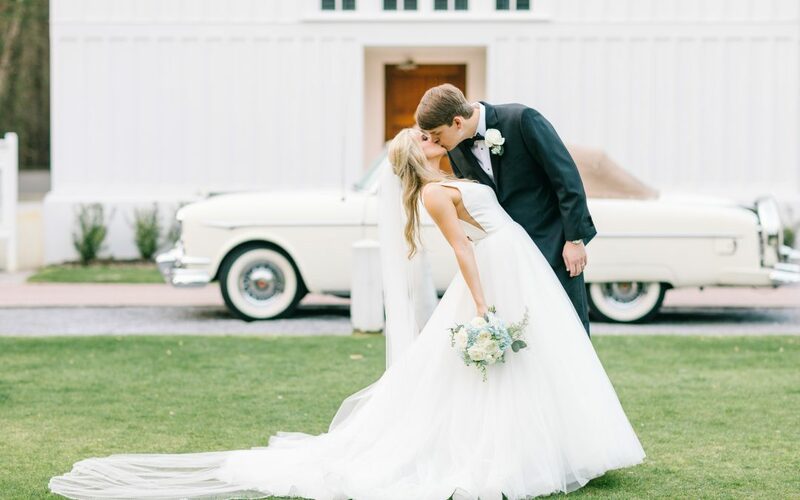 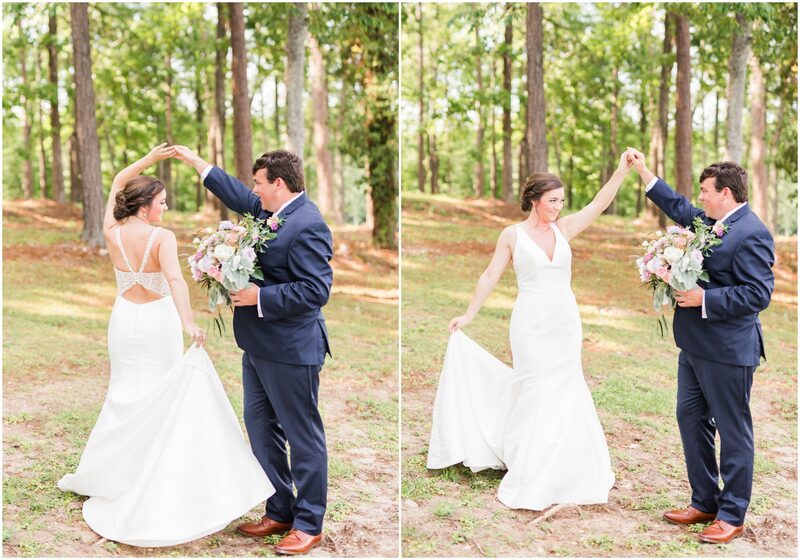 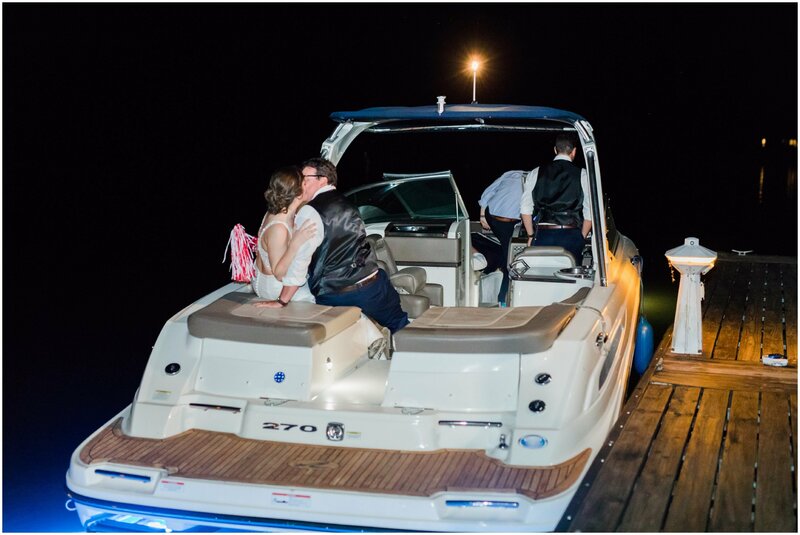 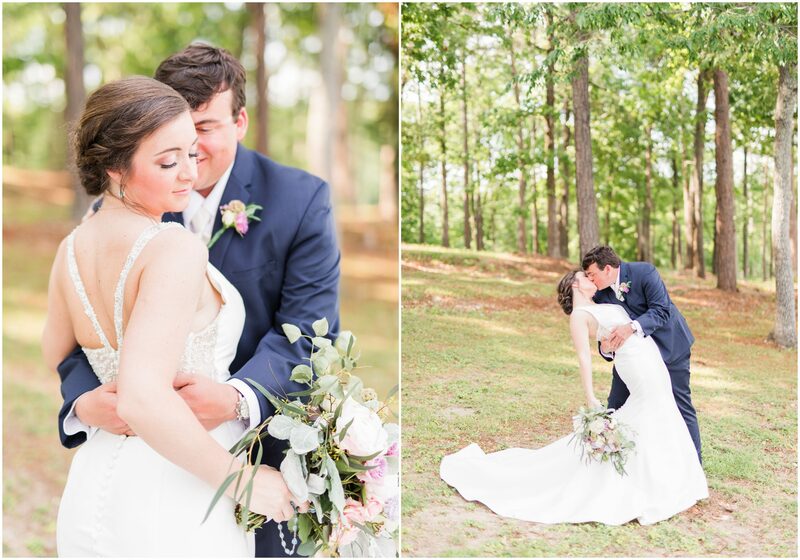 Their wedding day was nothing short of perfect and we absolutely enjoyed capturing it all! 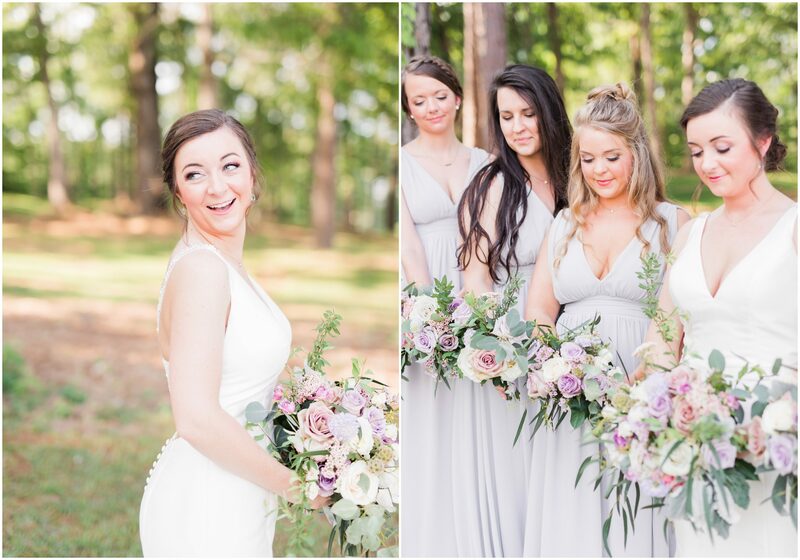 To start off the day, Victoria was surrounded by her beautiful bridesmaids and her sweet Mother. 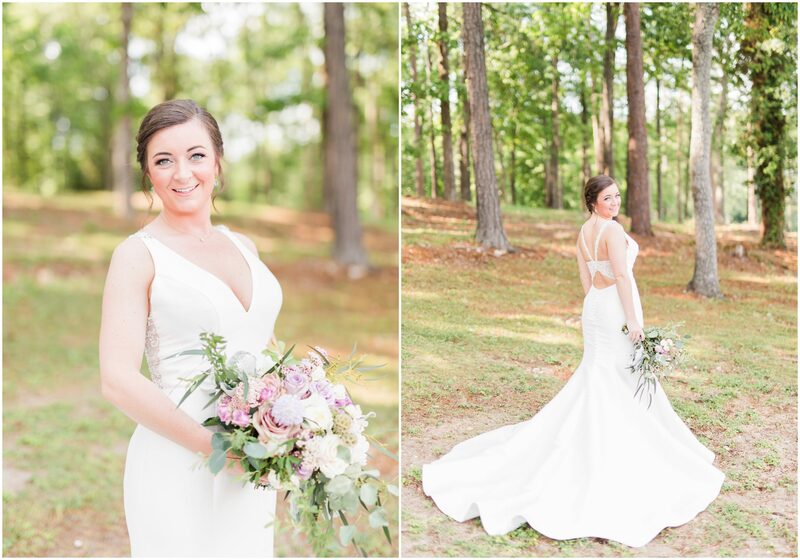 Victoria was completely joyful and relaxed and her calm spirit set the tone for the entire day! 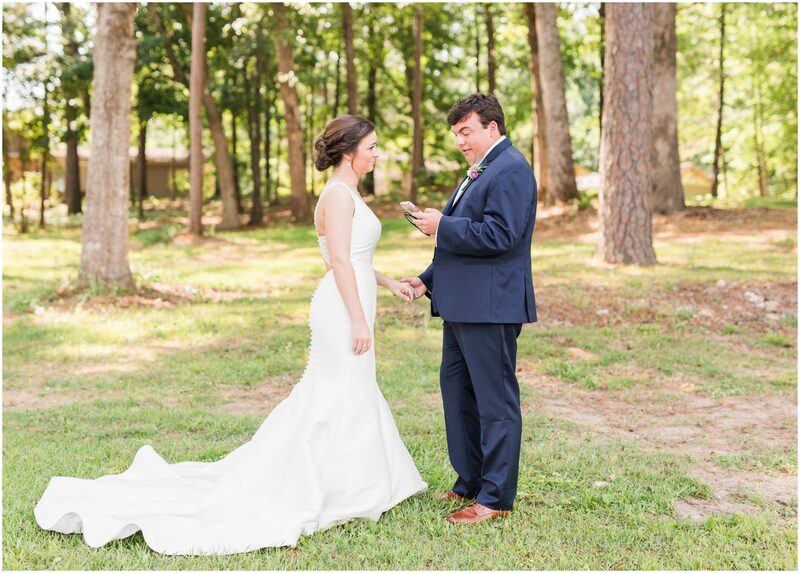 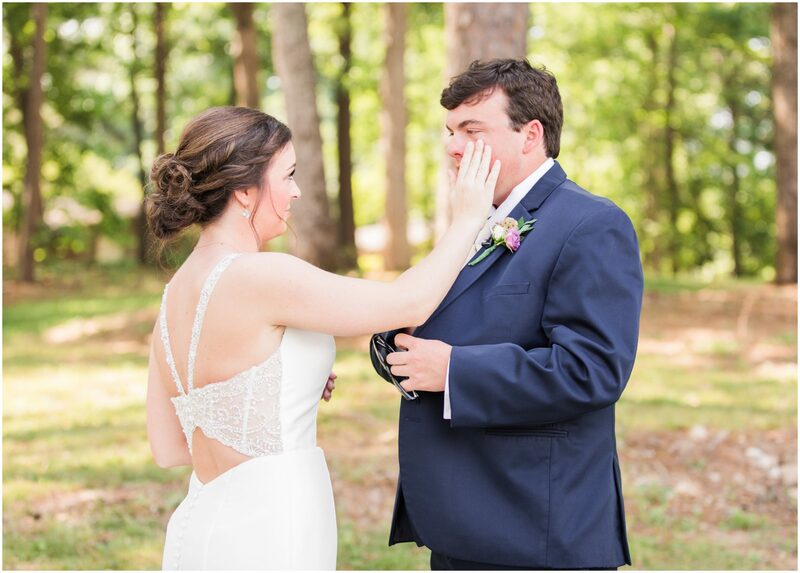 As Victoria put the finishing touches on her perfect bridal look, Ethan prepared for his first look with her by writing the sweetest note to his future bride! 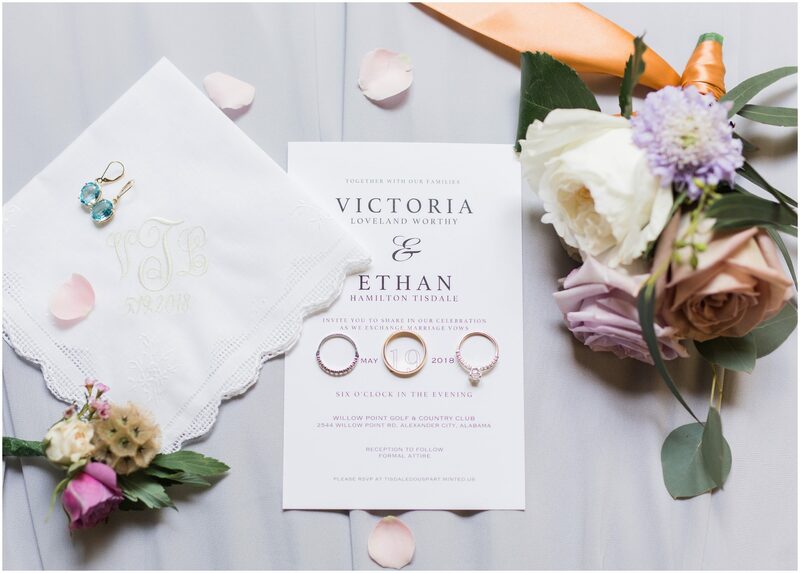 When they did their first look, Ethan read this letter to Victoria and all of us were holding back tears! 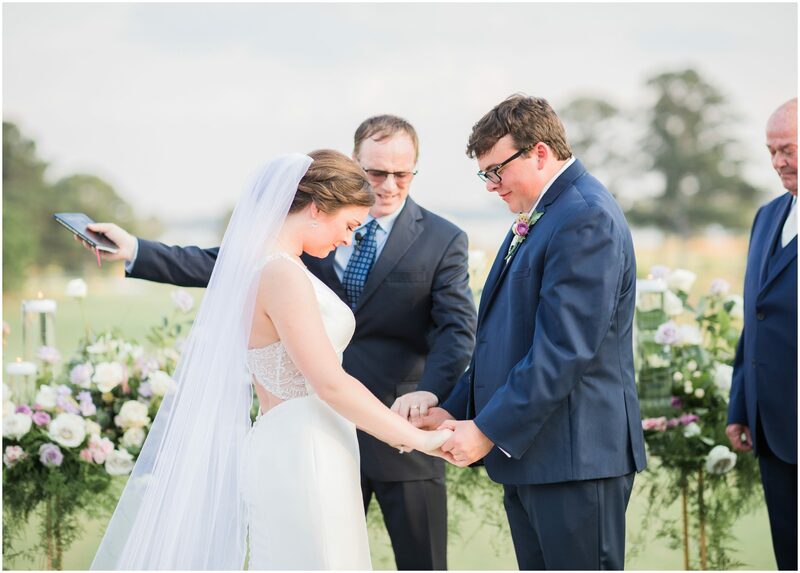 Ethan promised to be a Godly husband and to lead their marriage. 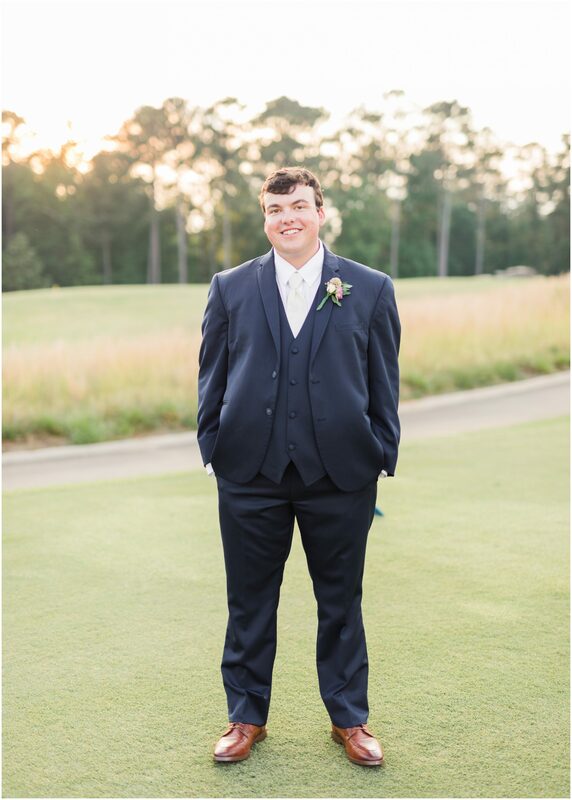 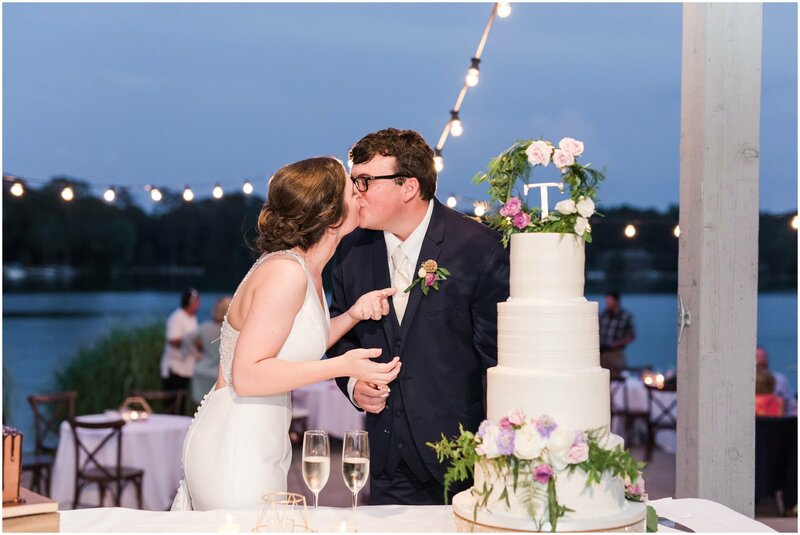 What an amazing way to start of a marriage, and props to Ethan for writing the most thoughtful and adorable letter to Victoria and for raising the bar for men everywhere! 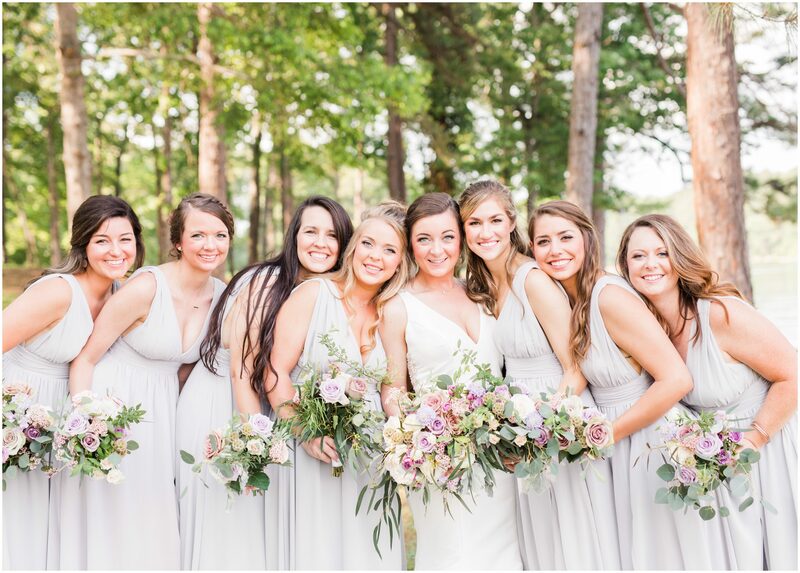 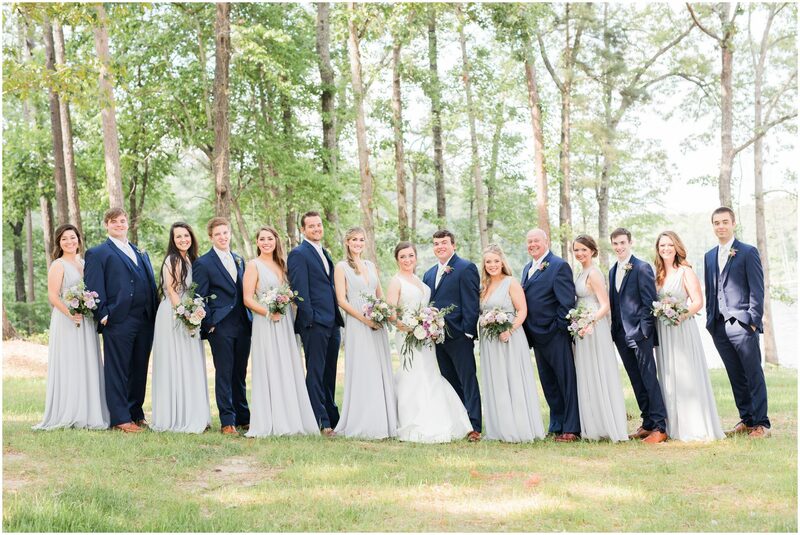 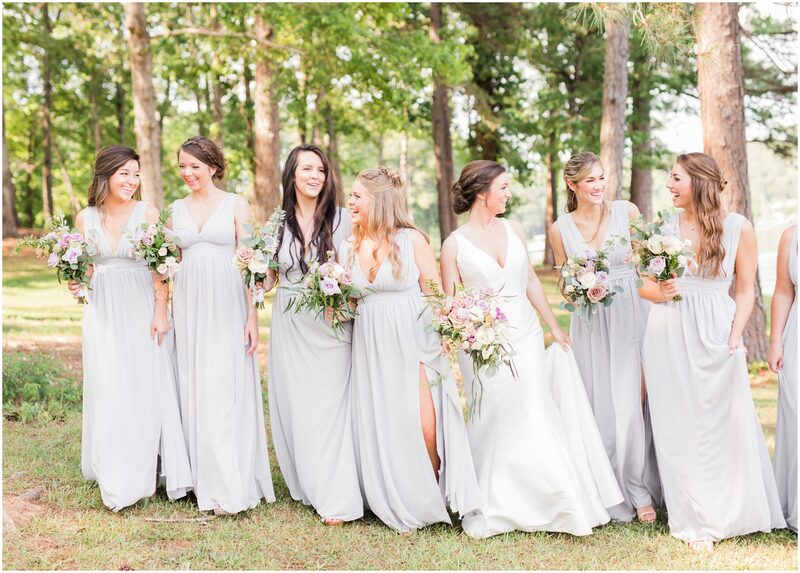 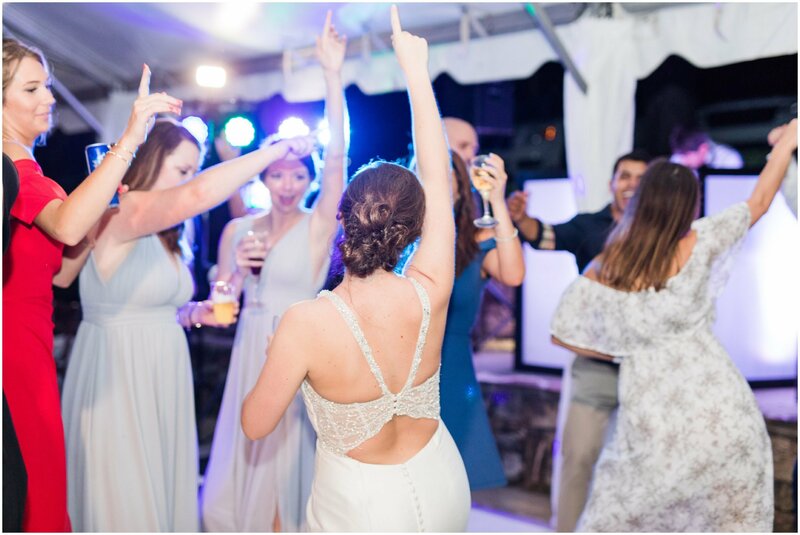 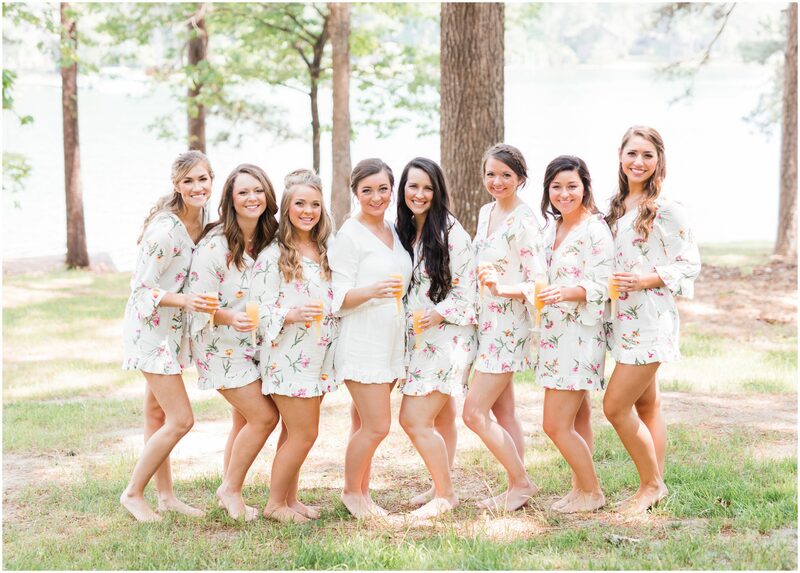 As the day went on, they were surrounded by the most fun bridal party! 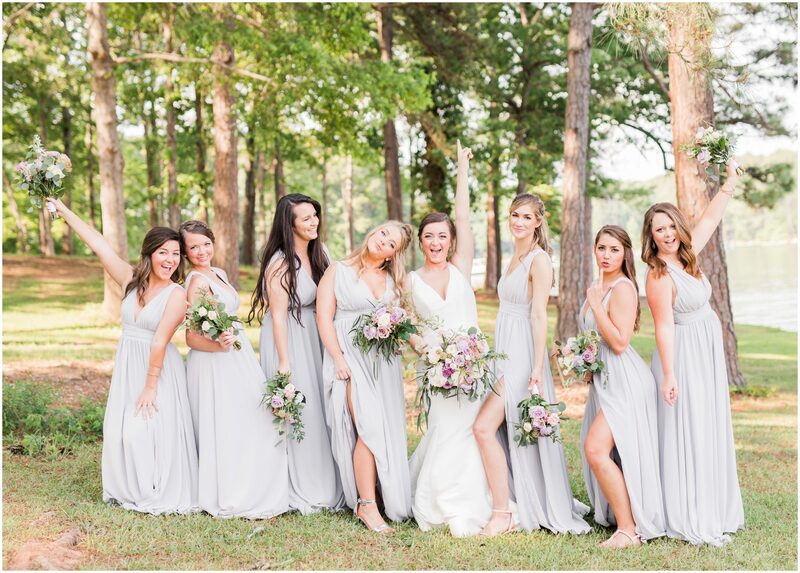 From pictures to dancing, this group had us laughing all day and we loved it! 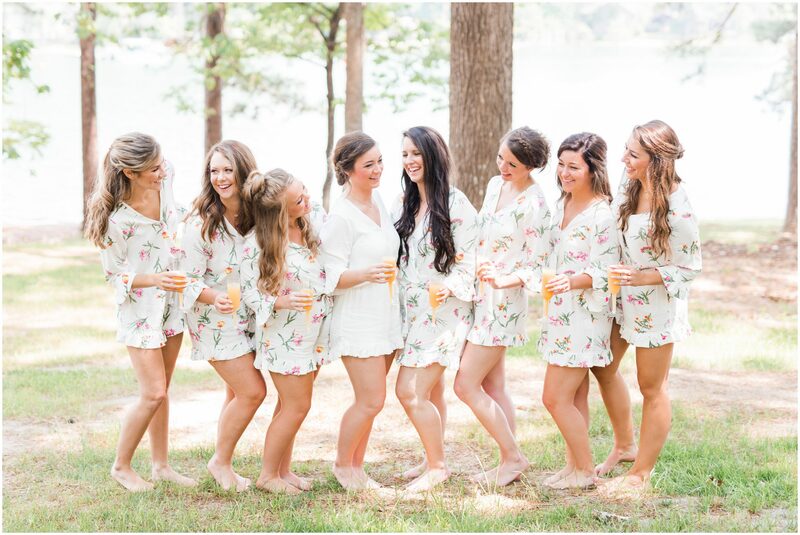 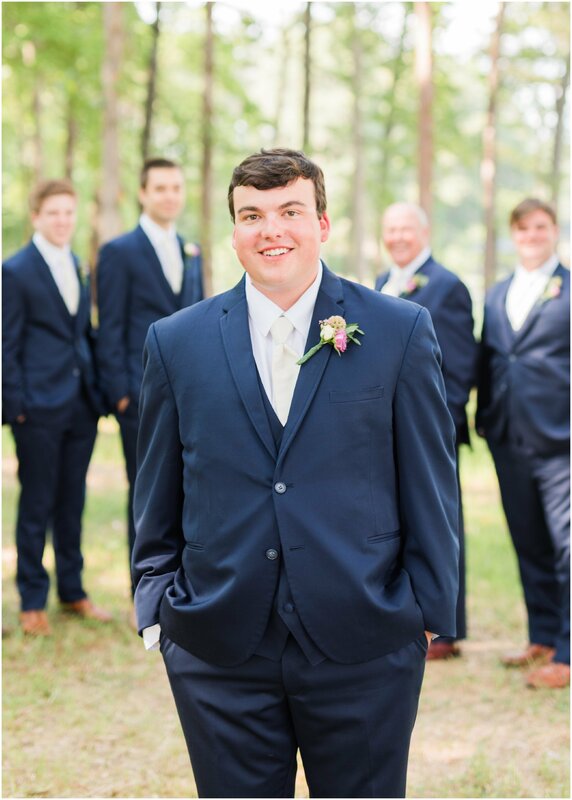 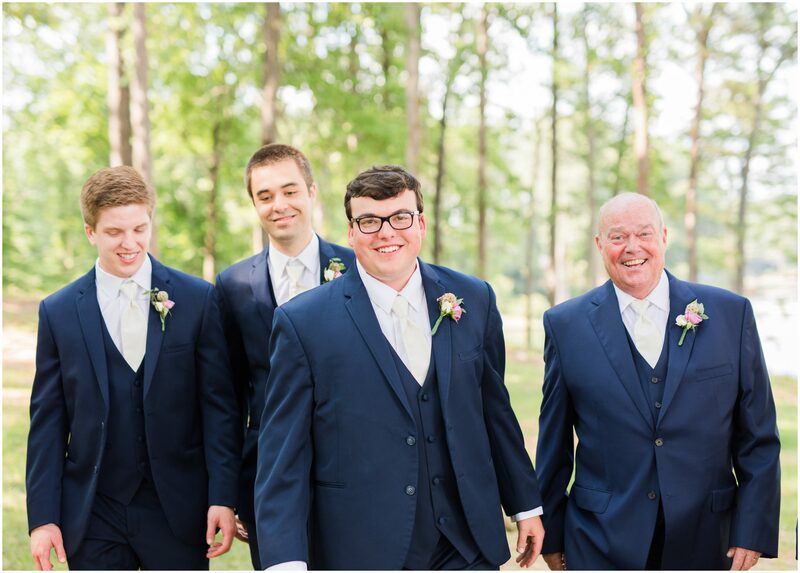 Any bridal party that can joke their way through 90 degree portraits, are A+’s in our book! 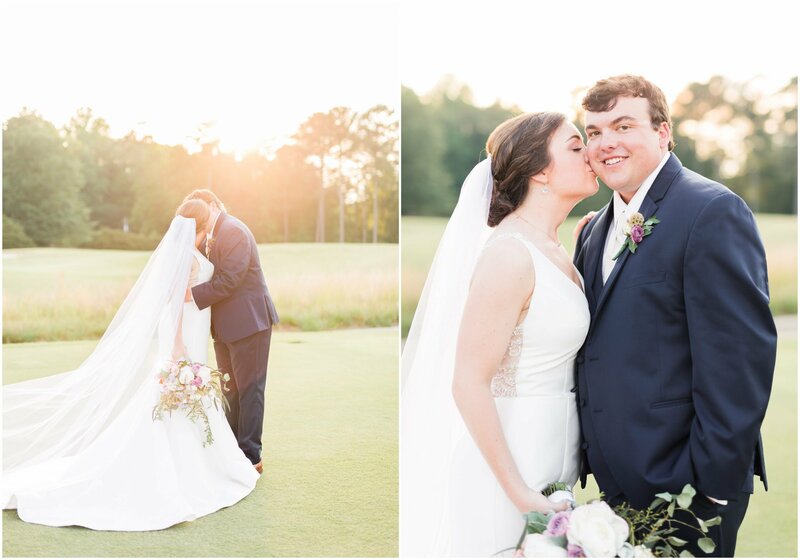 Y’ALL. 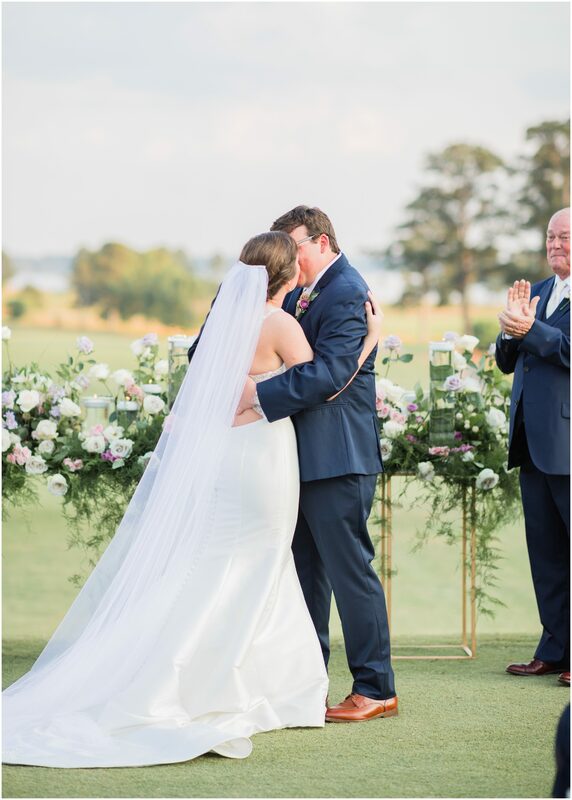 THIS CEREMONY. 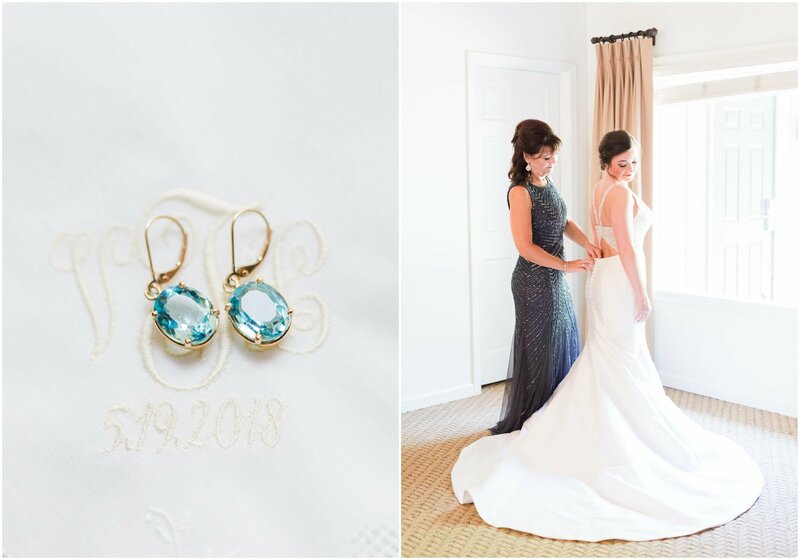 IT HAD OUR JAWS DROPPED ON THE FLOOR. 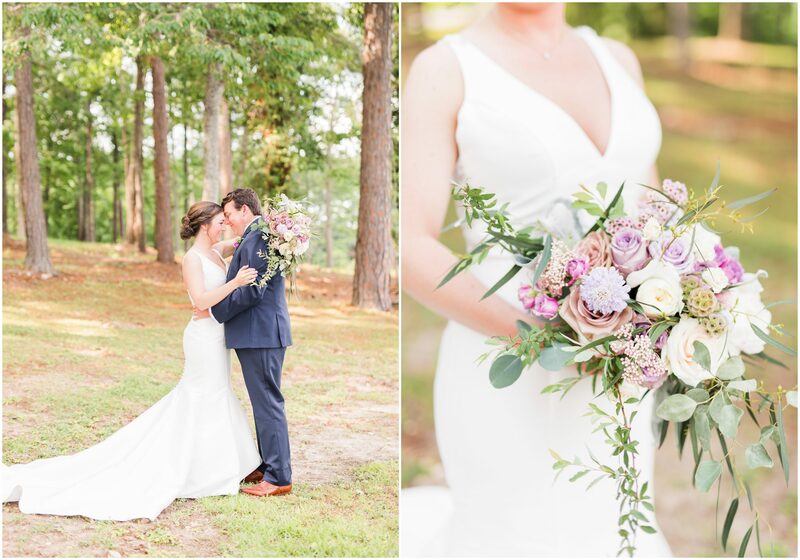 It was so simple, yet so beautiful! 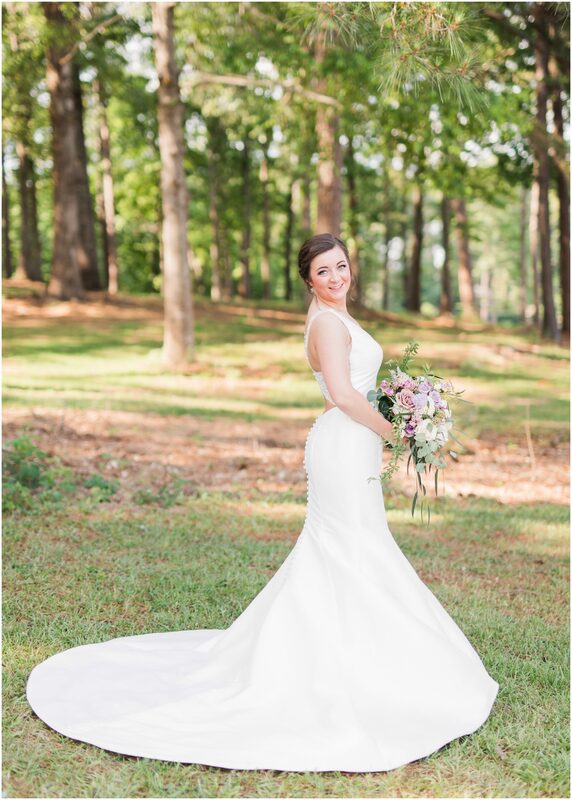 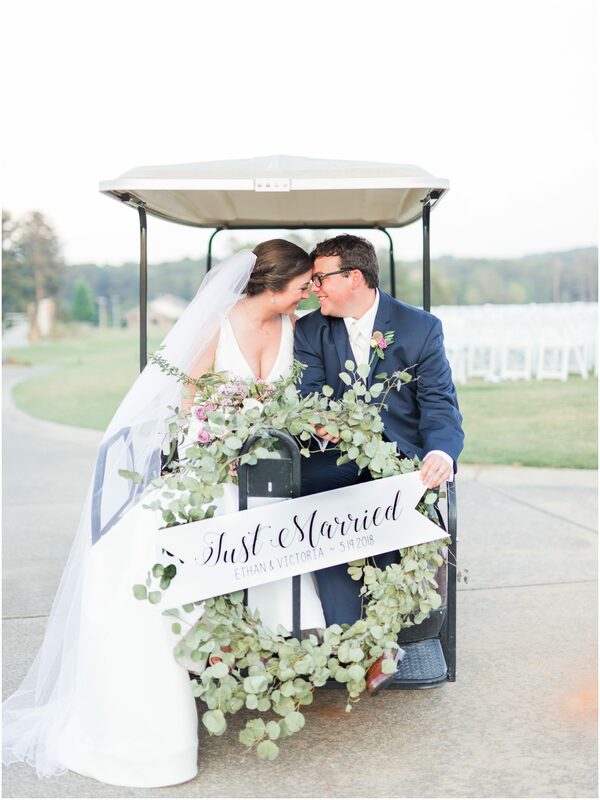 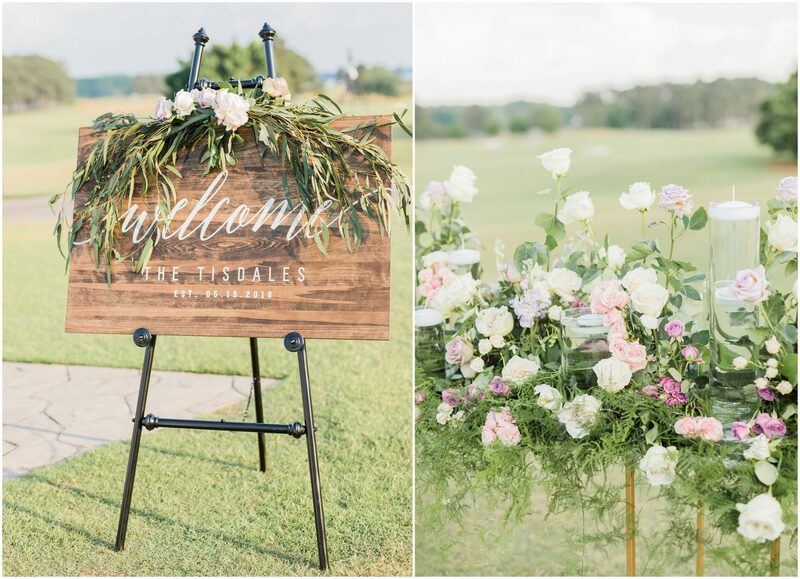 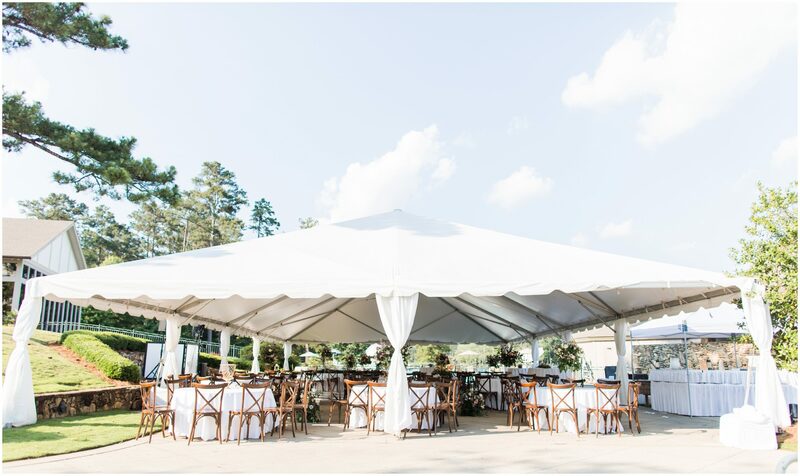 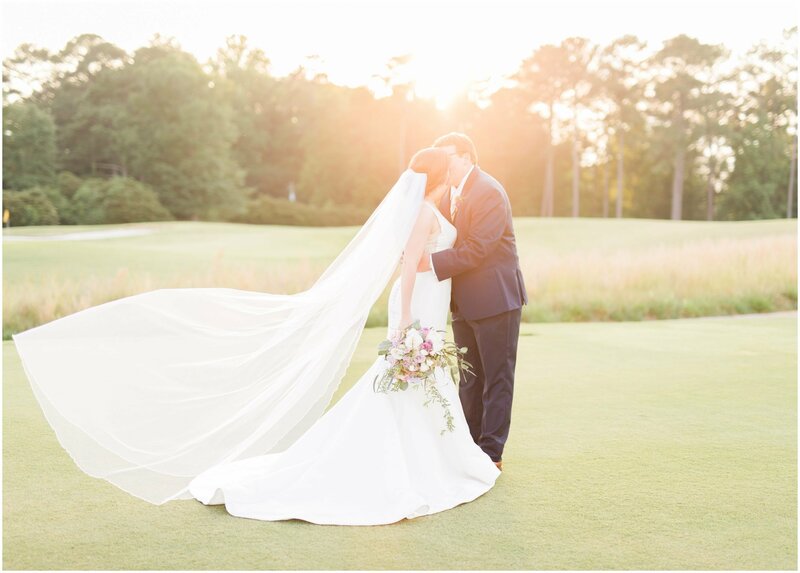 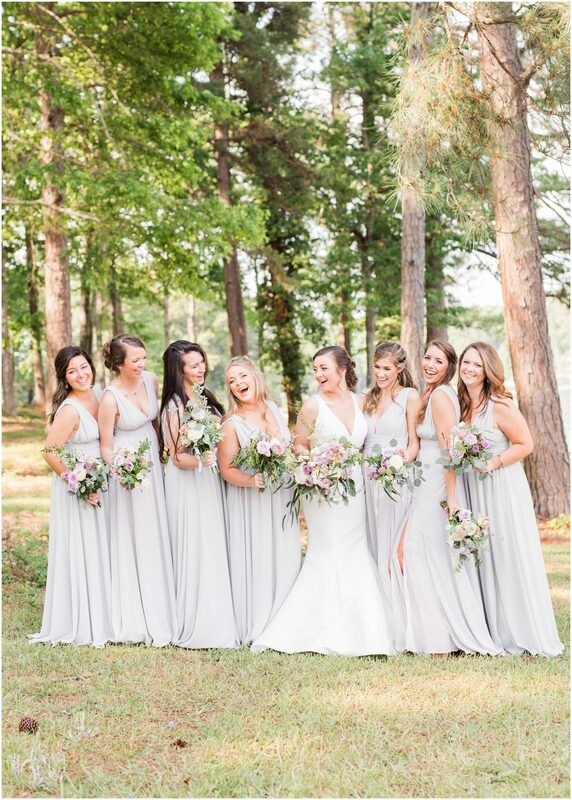 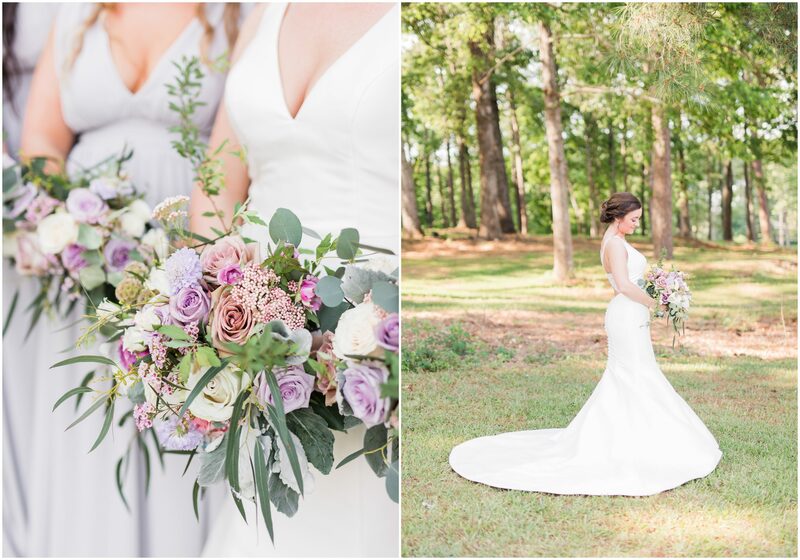 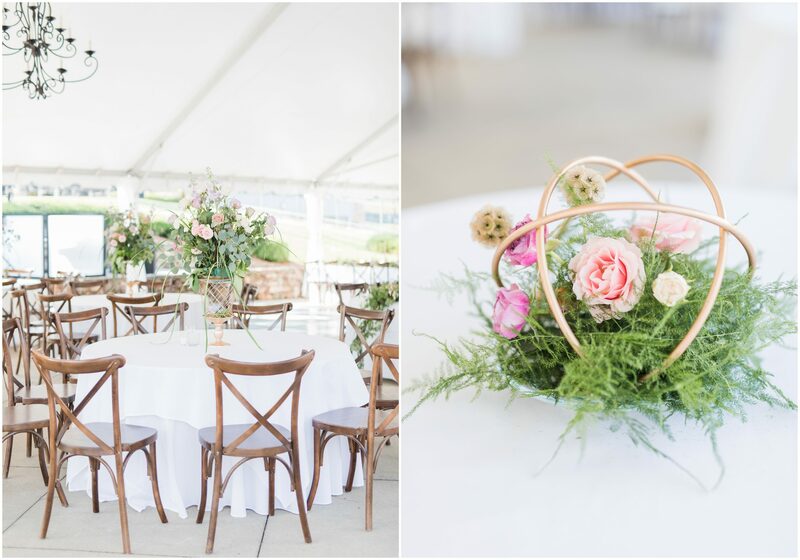 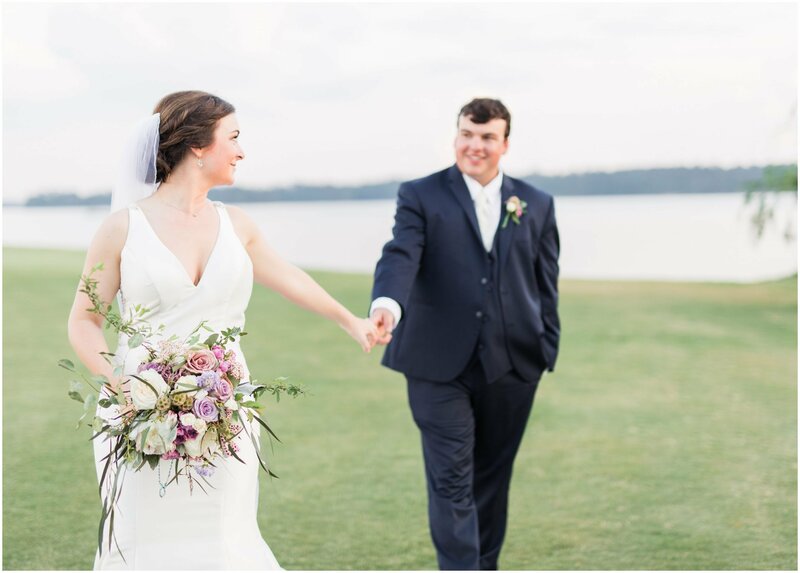 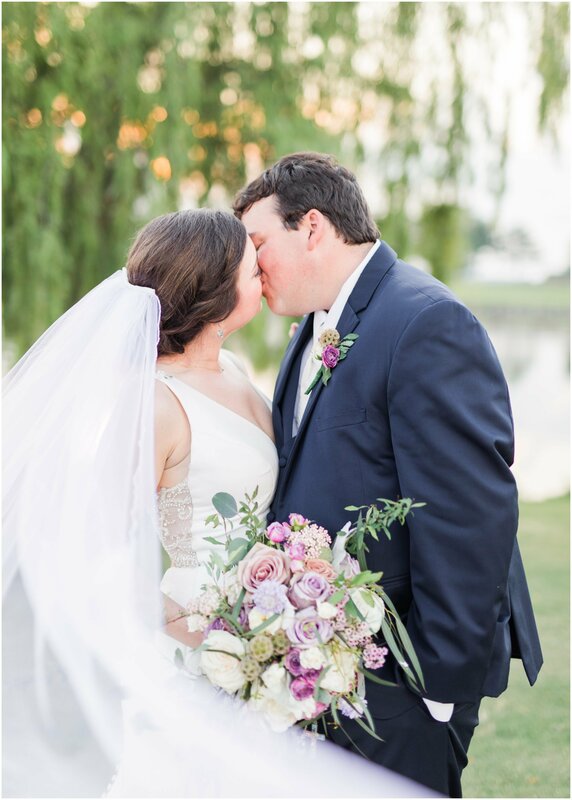 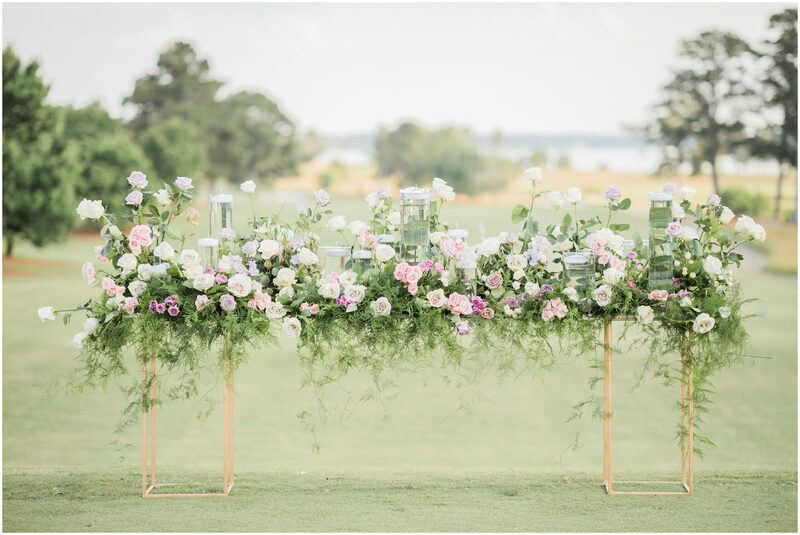 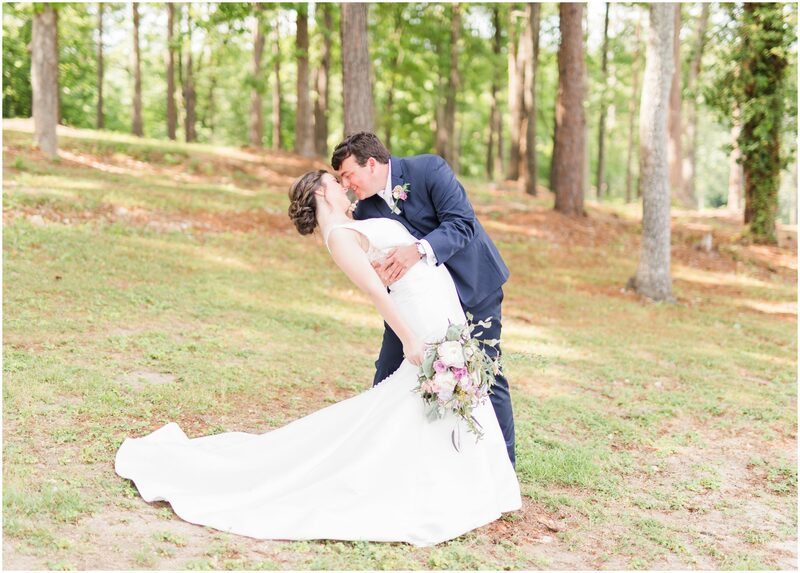 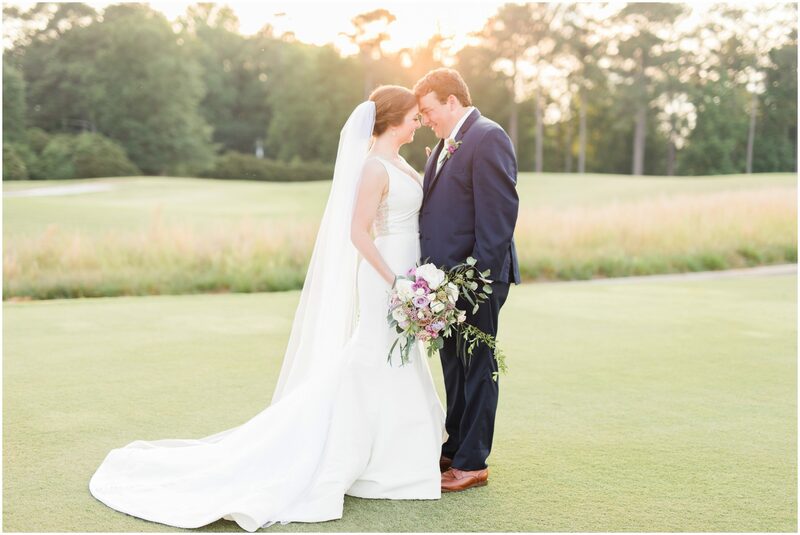 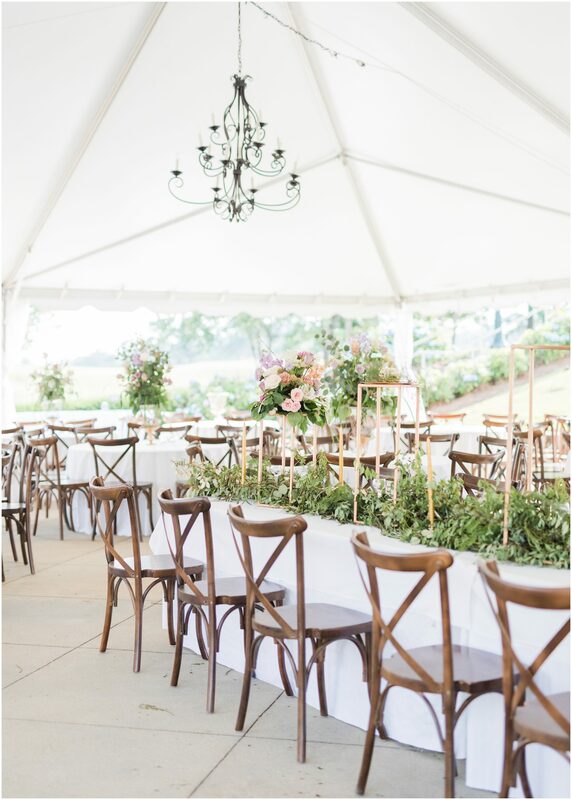 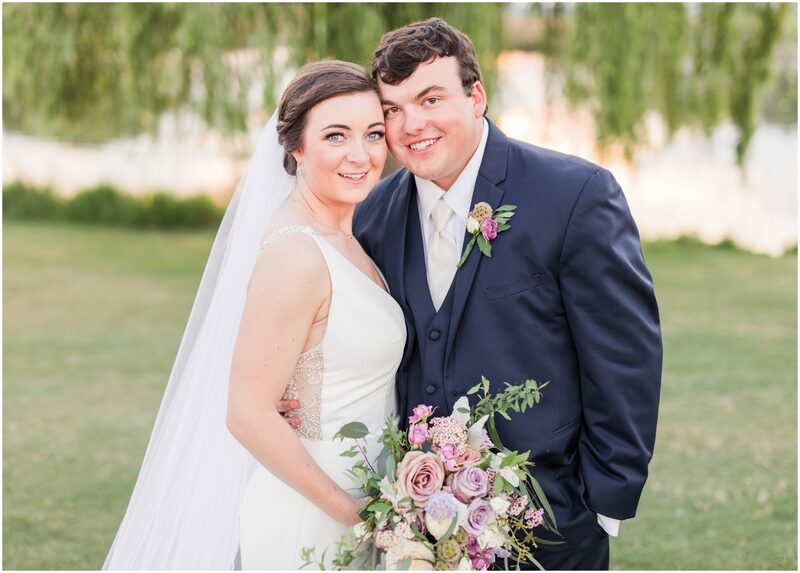 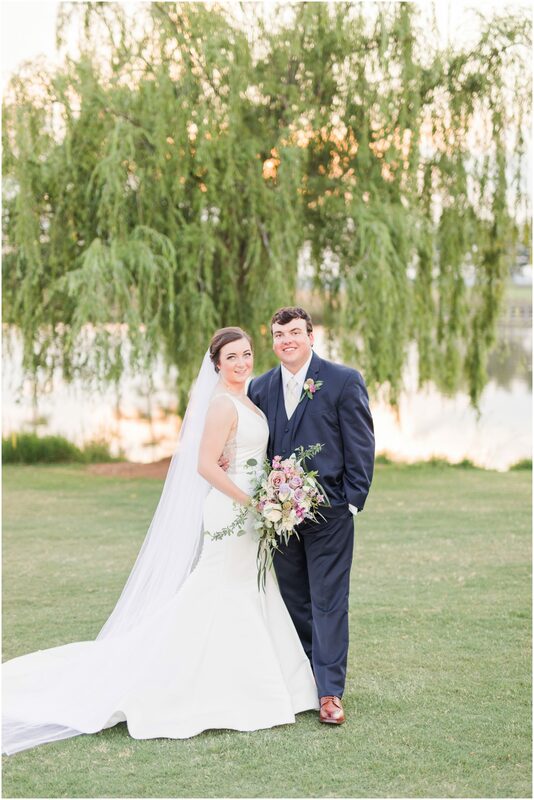 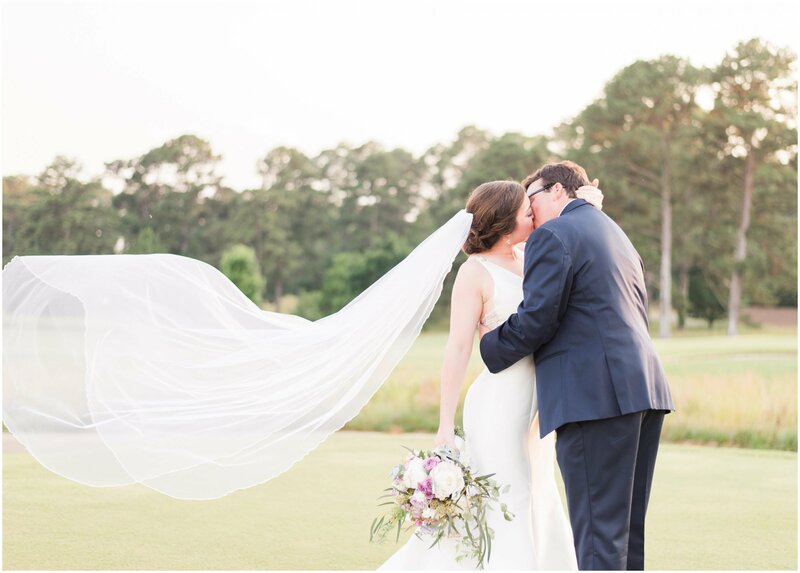 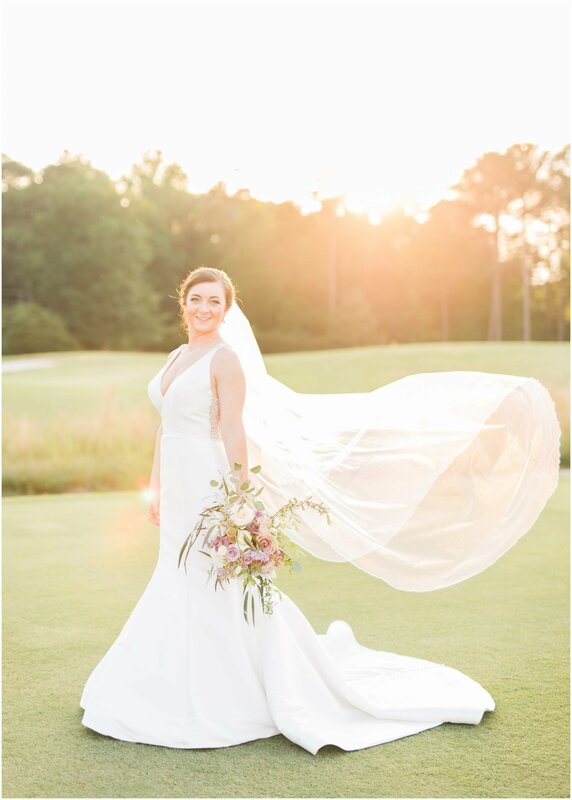 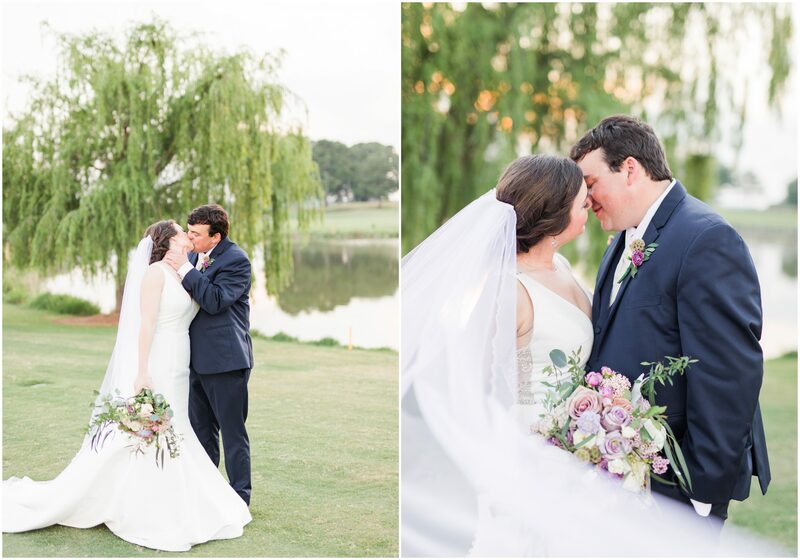 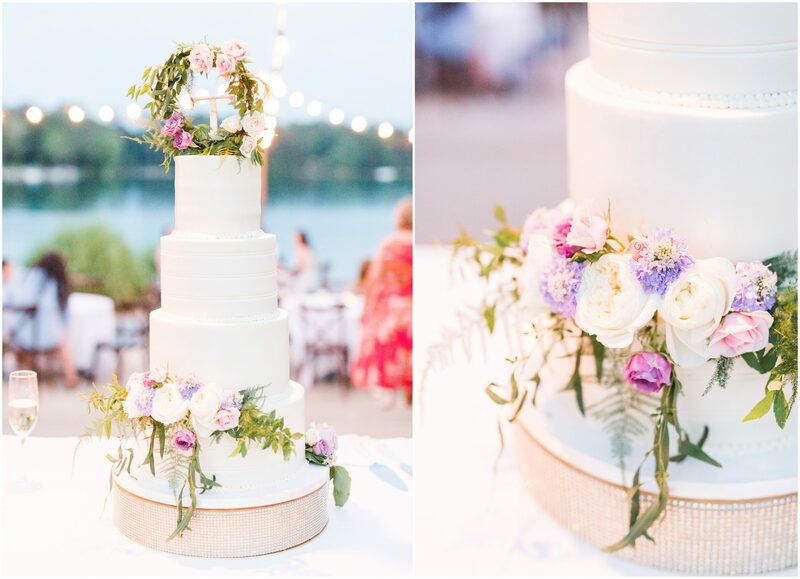 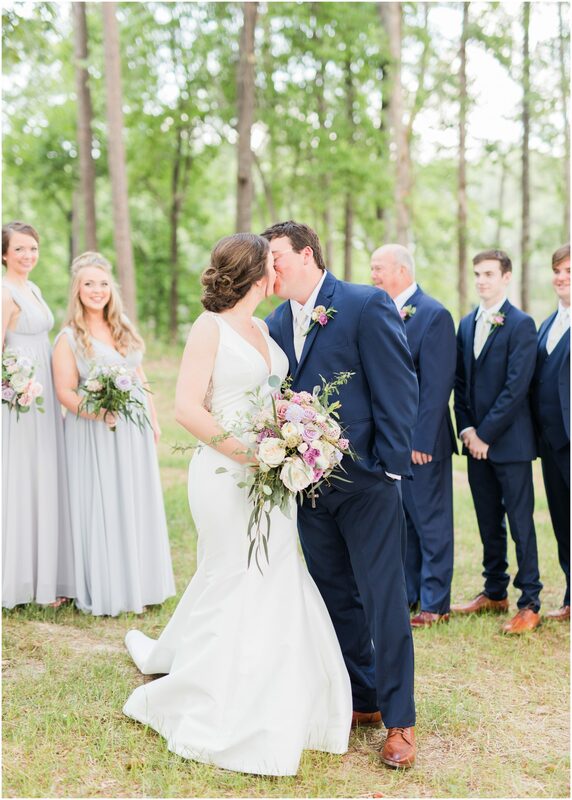 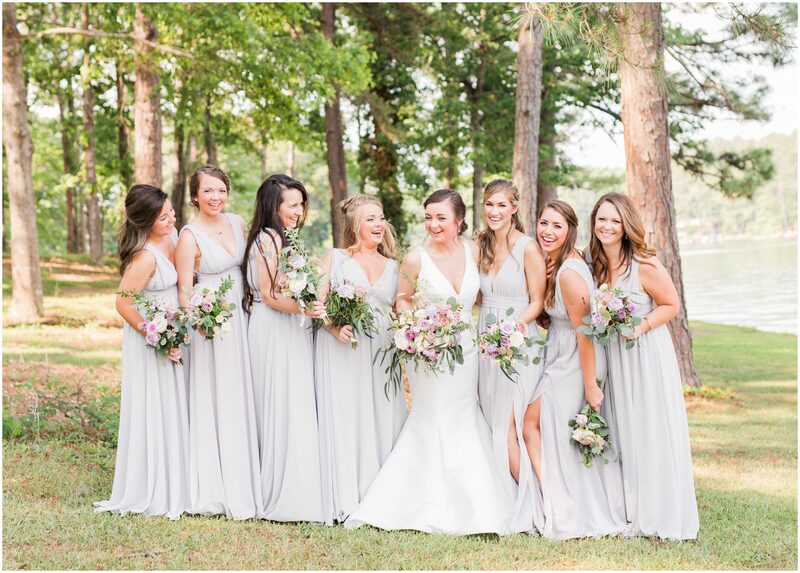 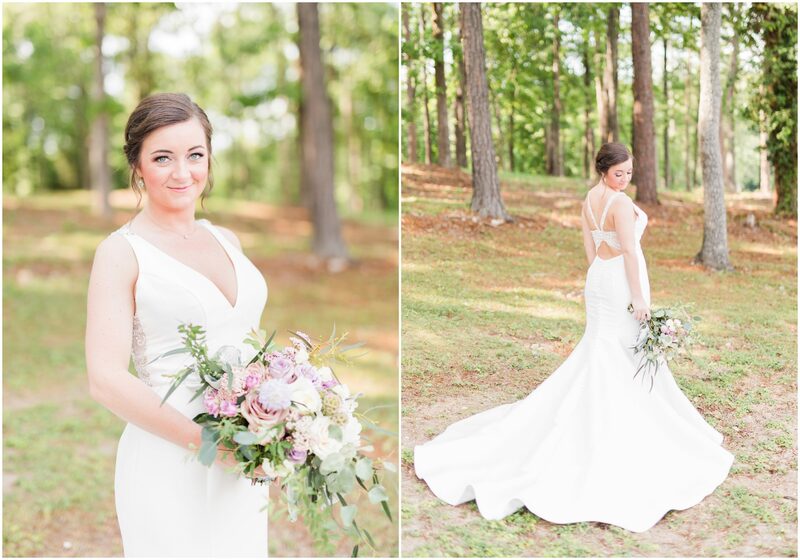 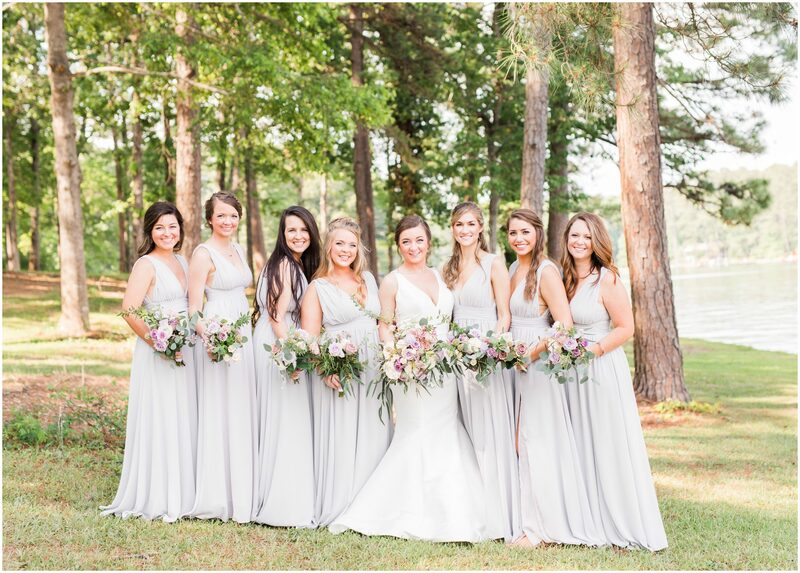 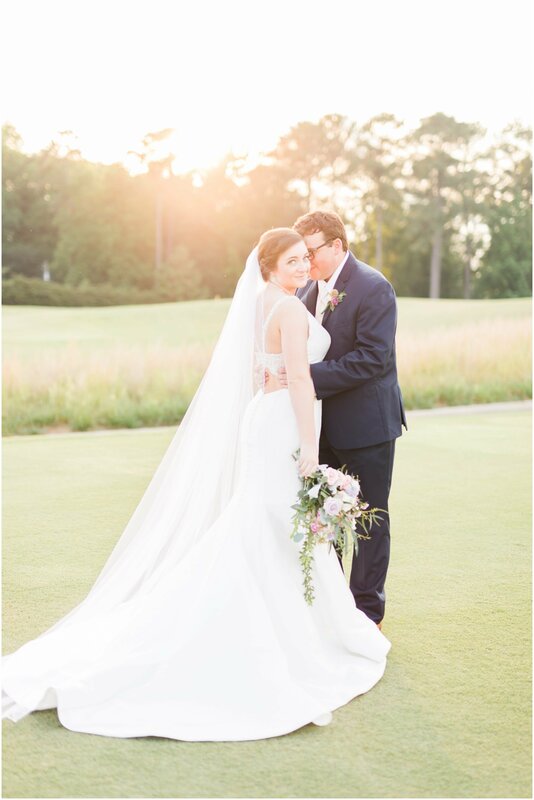 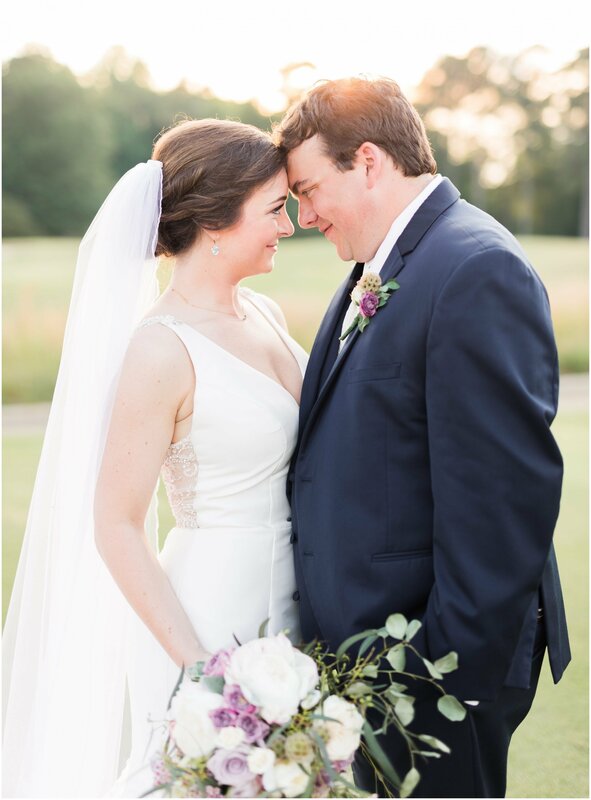 From the gorgeous floral table to the amazing backdrop on the golf course, with Lake Martin’s prettiest spot, it was pure perfection! 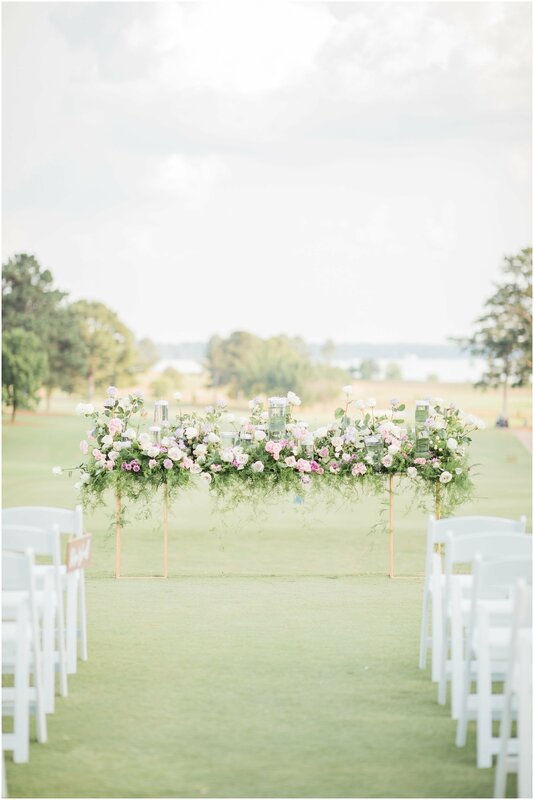 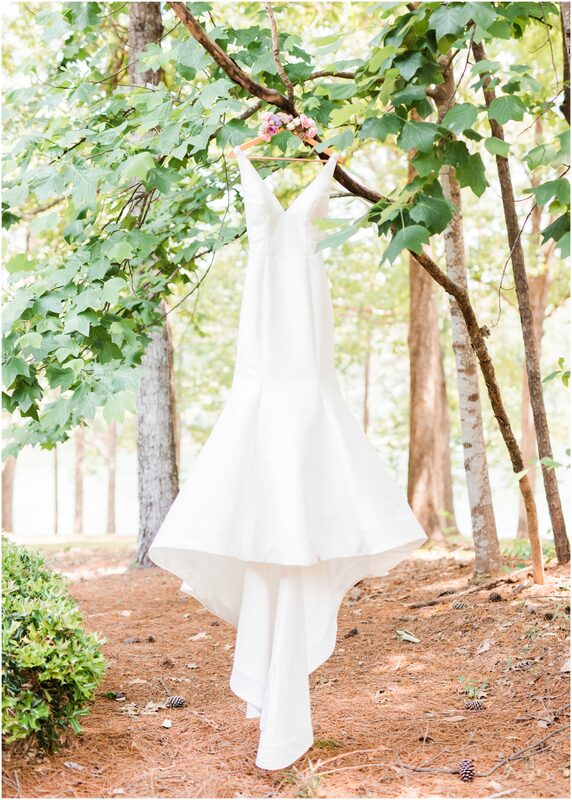 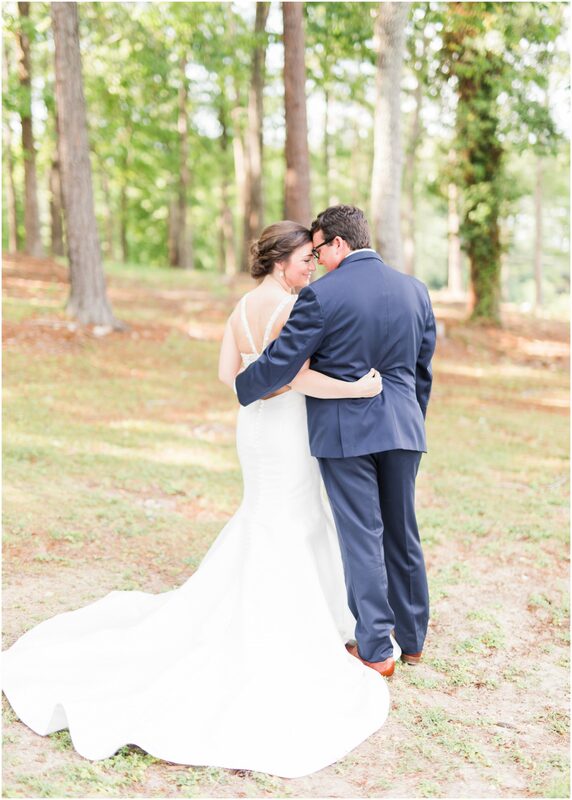 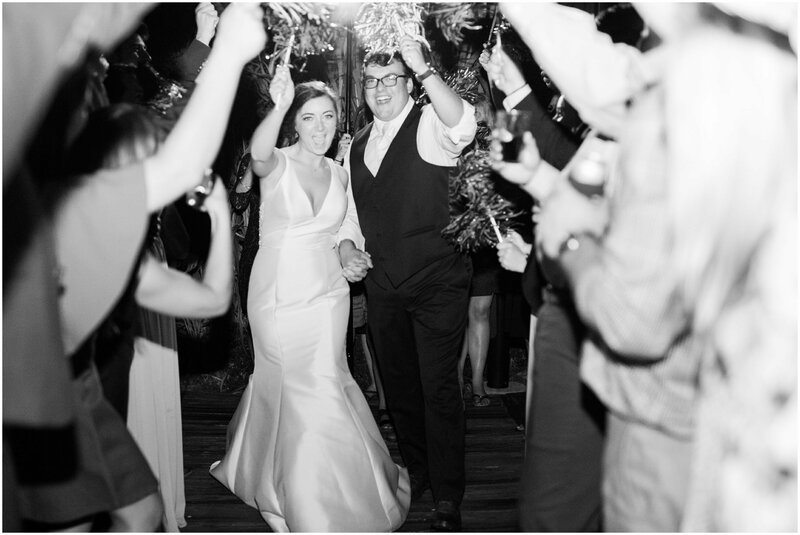 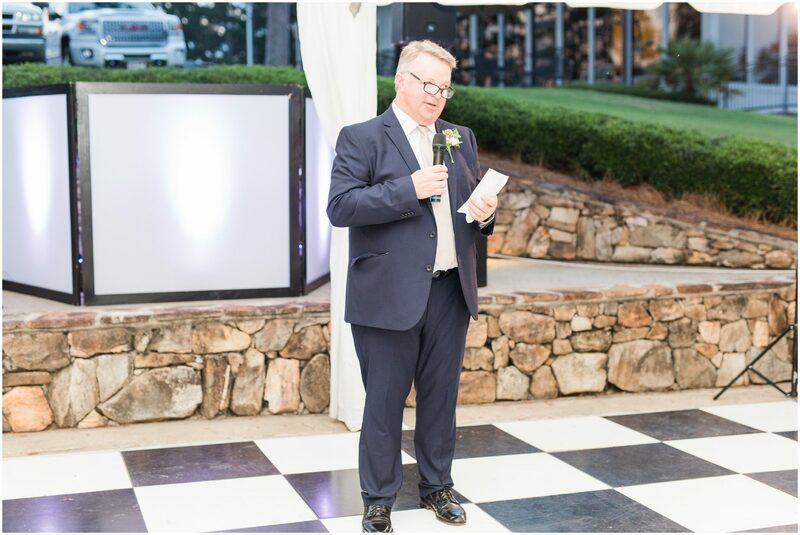 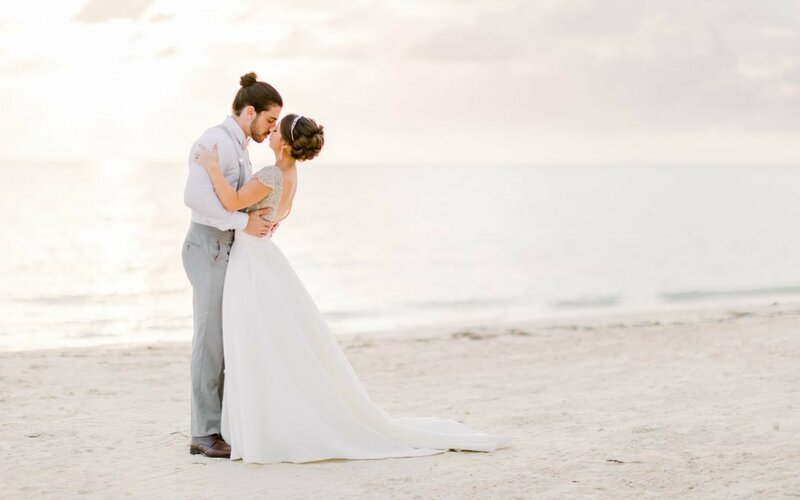 We have to a admit, this ceremony spot is definitely one of our favorites for sure! 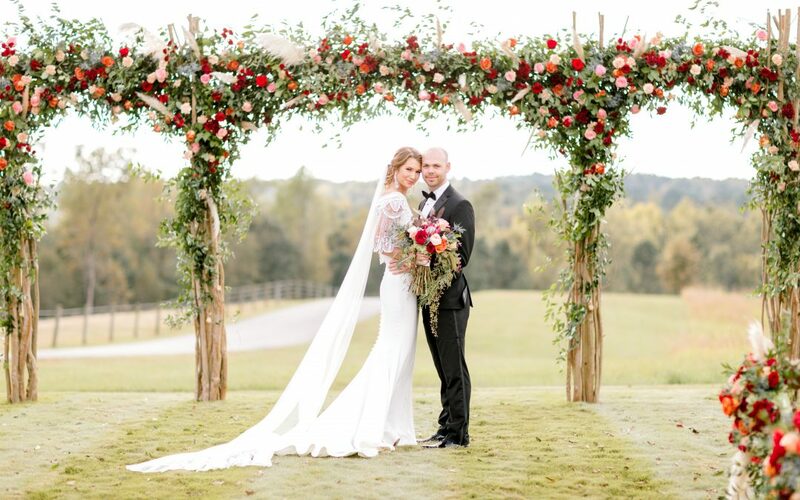 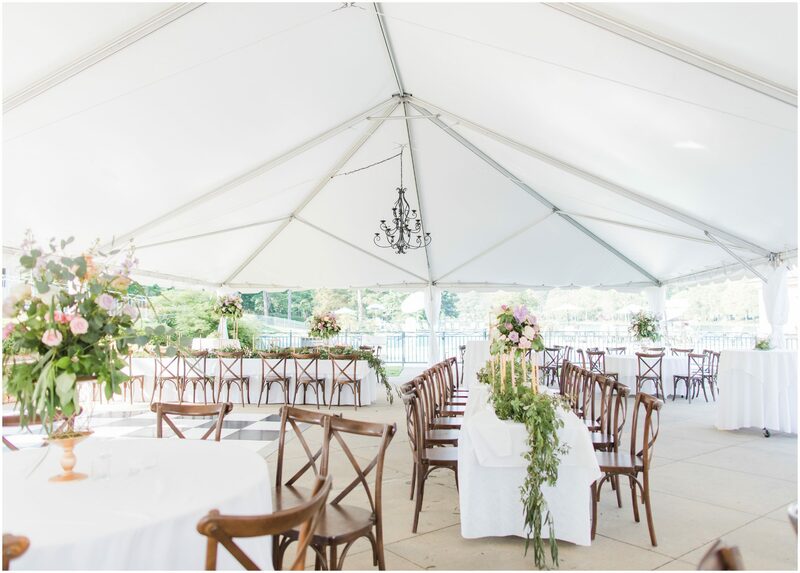 As if the ceremony wasn’t beautiful enough, Victoria and Ethan celebrated their reception under a white tent that was adorned with all of the pretty things and we are still not over it! 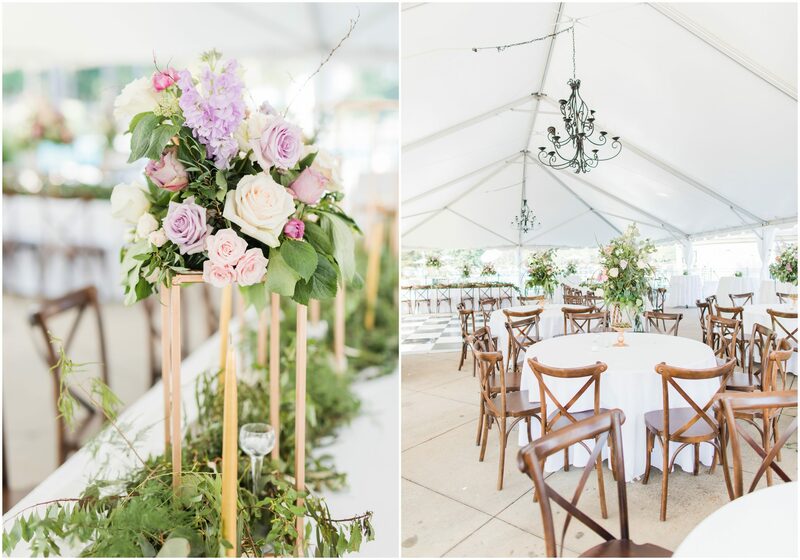 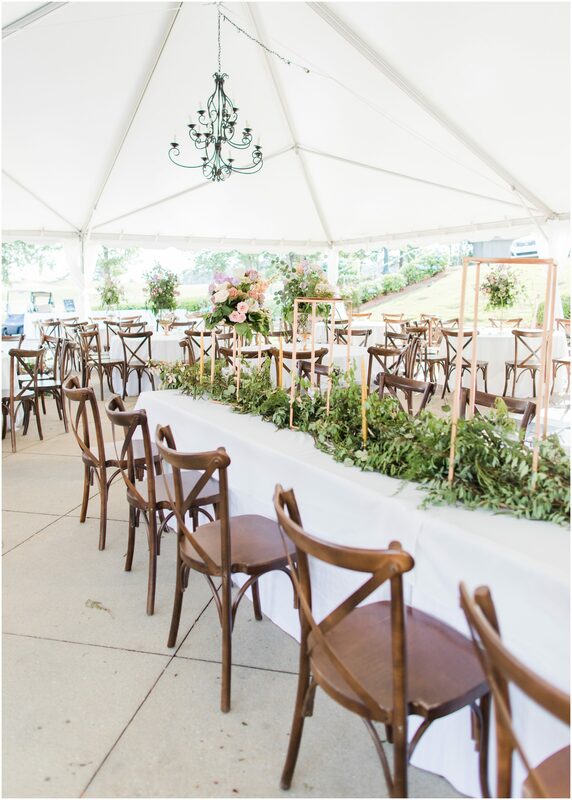 The tables were all perfectly set with Pantone’s color of the year, purple with hints of blush and tons of gorgeous greenery. 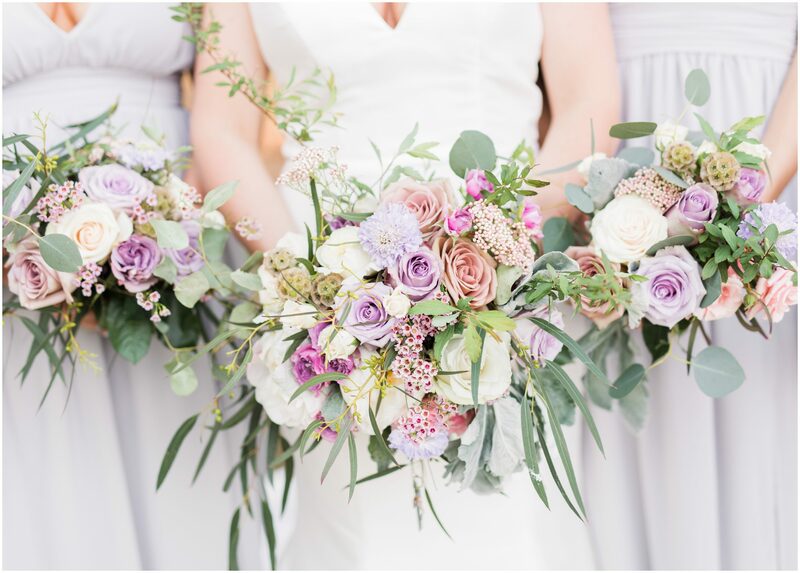 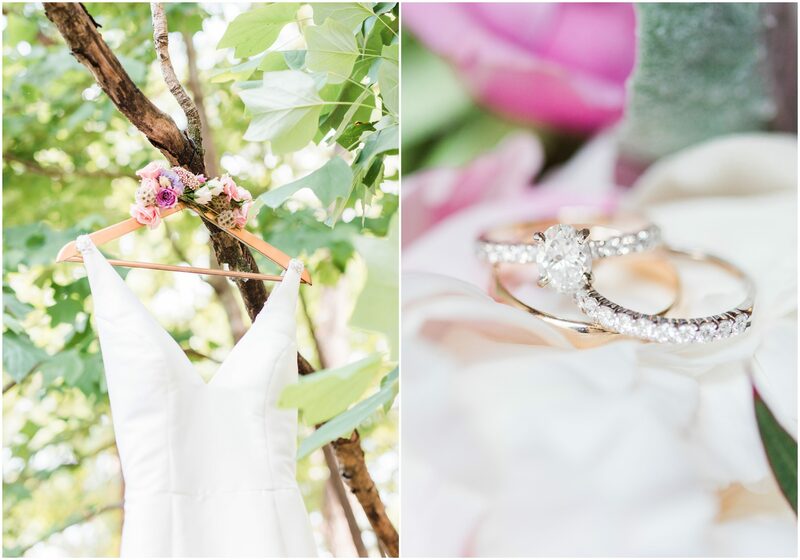 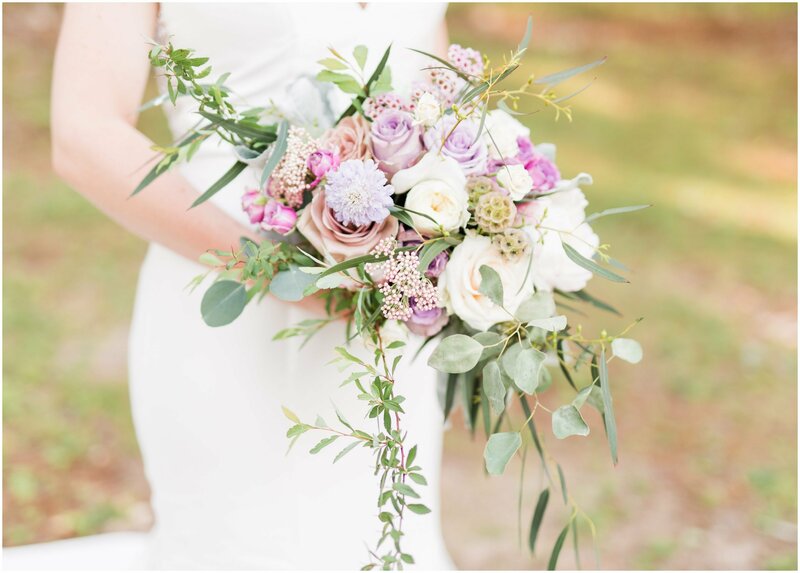 All of the wedding inspiration you will ever need is in this one post guys!